It was a tough game with both sides having periods of dominance. “It was disappointing to eventually lose to a goal scored from a set piece situation but we had many chances later on in the game to score one or two goals that we didn’t take. “In the first half we found it difficult to stop them from building up from the back which meant we had to work harder and sometimes we were left exposed, but in the second half we had most of the possession and confidence to go forward but the ball just wouldn’t go in. Birkalla have a week off after being knocked out of Westfield FFA Cup qualifying, but Skull believes that will benefit the team. 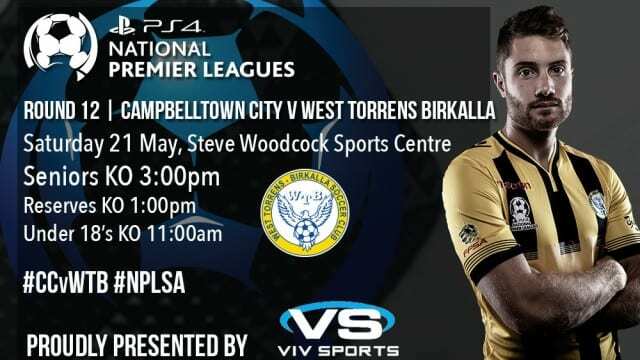 From the first whistle, Birkalla signalled their intent with a brand of high intensity pressing off the ball in an attempt to limit Campbelltown’s ability to play out from the back. Campbelltown enjoyed their fair share of possession as they implemented their playing style of patient build ups but lacked the final ball around the 18 yard box, likewise for Birkalla who continuously hit Campbelltown on the break put were let down by poor first touches and silly mistakes. It was always going to be an interesting spectacle as the league’s best defences battled it out. Lawrence D’Arrigo had a chance to open the scoring as he was picked out all alone in the box from a corner, but his header was directed straight at Campbelltown keeper Nick Harpas. The deadlock was eventually broken by an unlikely source, as Iain Fyfe rose above the rest to head home a perfectly weighted corner at the back post. Iain Kamau had a brilliant chance to level things up as Fumiya Suzuki played him in with a ball that caught out Campbelltown’s defenders ball watching, but his shot was sent straight into the hands of Harpas. Kamau was substituted late in the first half with an apparent groin injury, but his replacement in Will Plush would swing the game in Birkalla’s favour as he caused headaches on the left wing. Birkalla dominated the second half, the ball rarely leavingCampbelltown’s defensive third but it just wasn’t working in front of goal for the Novar Gardens club. D’Arrigo and Scott Nagel especially worked hard for the equalizer, and it almost came for them as Nagel’s free kick late in the day was inch perfect in finding D’Arrigo in space at the back post but his side footed volley was cleared off the line. That would be as close as it got for Birkalla, Campbelltown holding on for the win.